The knockout club night Boxed returns to The Arch, headlining legendary DJ, Skream. He’ll join the Boxed resident DJs for what’s sure to be another all night rager. Boxed has made a name for itself as the UK’s only 360-degree, immersive club night. It liberates it’s DJs from the confines of the stage, moving the booth into the centre of the floor and the middle of the crowd. Boxed breaks down boundaries between DJs and fans, hitting them with a mad array of sounds and visuals. This event’s featured DJ, Skream, has been revolutionary to the electronic music scene, since starting out in dubstep his newer work embraces a range of genres including disco, techno and house. He’s known for his variety and flexibility and is currently one of the most esteemed DJs in the world. 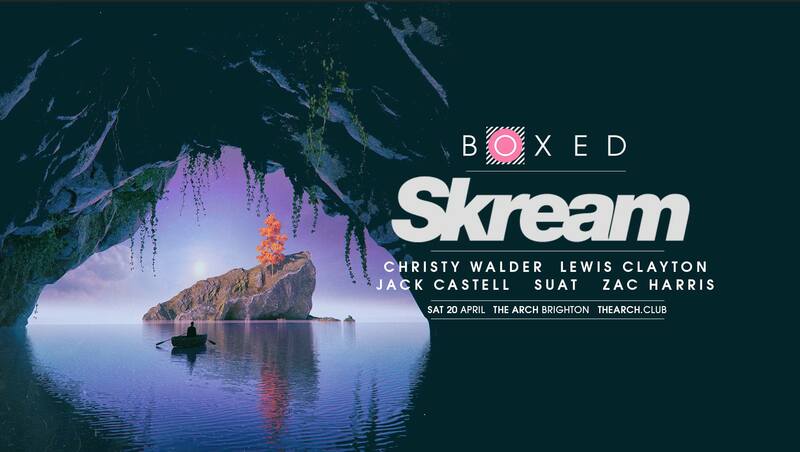 Tickets for April’s Boxed event are sure to go fast, they’re currently on their second sale, book soon to avoid missing out on this epic night. Check out one of Skream’s live shows at London’s Printworks below.